Our first Hammer training session was well attended last night with many new faces – welcome to Matt, Orial, Daphne and Adam!! 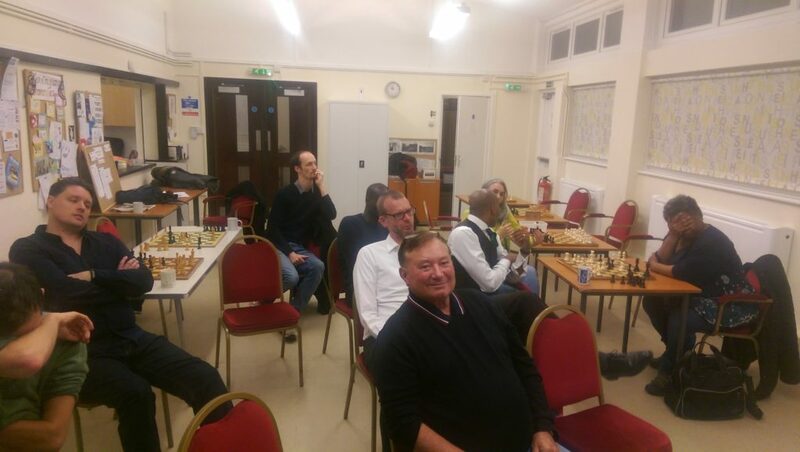 However the evening was dominated by our own version of Ant and Dec – Baj and Car (BajCar) – aka Bajrush and Carsten – who gave us a thoroughly enjoyable evening with great advice and amusing comments!! 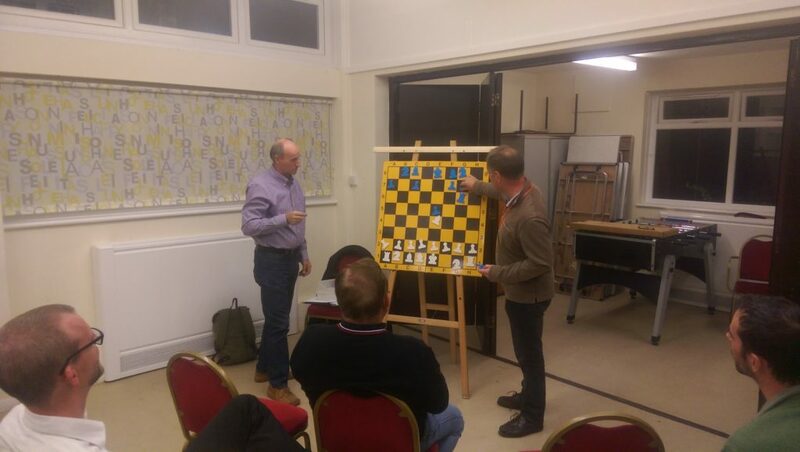 The evening began looking at the three different types of pin that occur in chess – followed by a forensic examination of our own David Lambert’s game against GM Chris Ward. The intention was not to heap more misery on David but to illustrate graphically how the pin can be utilised to tie your opponent in knots and gradually increase your advantage. To the extent where tactics are inevitable and this translates into victory. You really appreciated that playing simple (not that simple!) positional chess can lead to a win without any risk to yourself. Training – always a crowd pleaser! Our evening finished at 10pm and everyone went away happy and curious to apply what we had learnt asap.